At the end of every year I, like many other i’m sure, like to reflect on the year that’s just been. 2018 has been an absolute gem from start to finish and trust me i know how lucky that is to be saying. Usually the big highs come with heavy lows along the way but this year has been smooth sailing and filled with nothing but good news which is incredibly rare. With all the business and excitement of this year my blog has definitely fallen by the wayside a bit which i really regret. So i’m going to make an active effort in 2019 to stay up to date. There’s so much wedding and house stuff, not to mention a few amazing trips planned that i want to document so i’m making a pledge to BE BETTER! Needless to say i’m behind… my 30th came and went without any update on here and my Germany/Austria road trip is unfinished. So here’s a quick summary of that trip and stay tuned for a few catch up posts coming up shortly! Once leaving Germany the weather improved dramatically. We made our way to lake Altaussee which was breathtaking. Complete with a couple swans making their way majestically from one side to the other. From there we drove to Hallstatt - probably the most instagrammed place on the planet, and for good reason. Such a beautiful little town, there’s not a lot to do there though so i would 100% recommend visiting it for 1 night like we did or use it as a base to see the beautiful scenery in the vicinity. From there we made our final leg towards Strasberg where we stayed at the beautiful Sacher hotel. 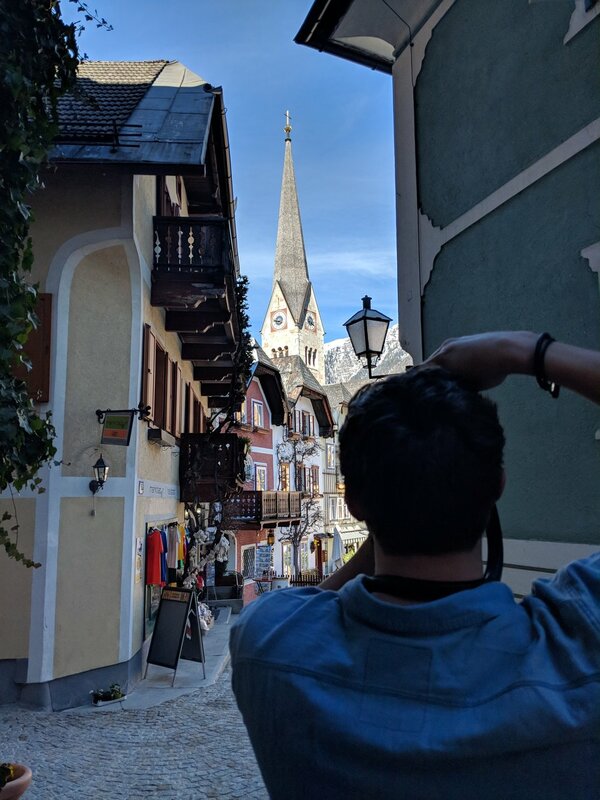 I was dead set on staying there because it’s where Julie Andrews stayed during the filming of the Sound of Music and it was absolutely stunning. Another reason i wanted to stay there is because of the famous Sacher Torte. I honestly still talk to Joel about this cake. It’s SO delicious and you can only get it there. Imagine a rich jaffacake chocolate cake with cream and that’s what this is. I would go back to Salzburg for the cake alone. After eating as much cake as physically possible we took a walk around town. We visited the mirabel gardens, motzarts birthplace, walked up to the fortress that overlooks the city and wondered the beautiful streets. We also took a quick trip out of town to Hangar-7 the Red Bull headquarters to see a few of the toys. It’s not very big but it’s a really little beautiful city. Apologies for the brief summary, if you have any questions about our road trip or want to know more about where we stayed or what we did feel free to ask a question below!